Smartphones have seen quite an evolution in design over the past decade. One of the features to get the axe from most devices on the market today has been the physical keyboard, with capacitive on-screen keyboards becoming the accepted standard. If the idea of a physical keyboard is something that you would love to get your hands on in a modern package, Sprint has you covered with their upcoming Motorola Photon Q. 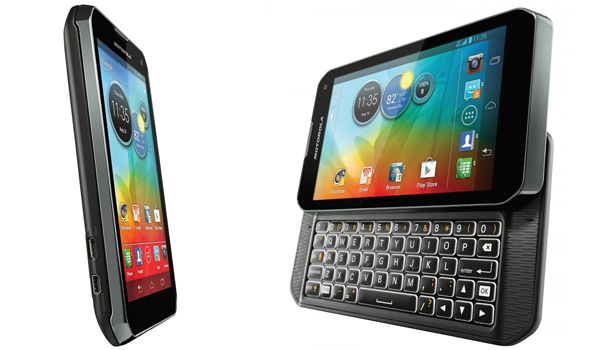 The Motorola Photon Q is a new LTE handset that features a slider-style physical QWERTY keyboard, a 1.5GHz dual-core processor, a 4.3-inch qHD ColorBoost LCD, NFC, 8MP camera on the back and a custom-modified variant of Android 4.0.4 Ice Cream Sandwich. A beefy phone with a slider might be perfect for those who absolutely love to text. On-screen keyboards have improved dramatically for tasks like texting and emailing, though some users still favor the idea of a physical keyboard. The new Motorola Photon Q slider will arrive on store shelves on August 19th and will cost $199 with a two-year contract. At $199, is the Photon Q the best deal for the money? This will largely depend on what you want to use it for. I suspect that slider phones have largely become targeted at the teenage market and text-a-holics alike, but I could be wrong. Ask yourself, how important is a physical keyboard? Improvements in touch technology have made the use of on-screen keyboards all that much easier, not to mention that many phones also have voice-dictation capabilities. Sliders are much thicker than the touch-only smartphones out there, and the Motorola Photon Q pricing point puts it up against flagship devices like the Samsung Galaxy S3. The bottom line is that if you don’t really have a true need for the physical keyboard, the Photon Q has plenty of similarly priced rivals that offer beefier specs and larger screens. What do you think of the slide-out keyboard? Would you buy the Motorola Photon Q? Share your thoughts in the comments below.